Little Mrs. Married: Today was Good! Since I am not weighing daily, and didn't feel that much smaller, I was so nervous. BUT! I went to my appointment anyway, hoping to see a loss. 2 pounds. That's what i wanted. I wouldn't have dared to hope for a 3 pound loss. But y'all. 4.5!!! 4.5 pounds down on that scale! EEK! I am SO THANKFUL, y'all! At noon, I went to the home of one of the ladies at church. They were having a lunch for our pastor's wife, Mary Ann's birthday! I couldn't wait to go because i LOVE Mary Ann, and because I NEVER get to go to these kinds of things since i normally have an outside-the-home full-time job! You better believe i was taking advantage of my time off! Me & Mary Ann! She is so sweet! There were 8 or 9 ladies there, and we had a great time. It was short but sweet. We had lunch and then went outside to visit. BEAUTIFUL BEAUTIFUL DAY!! After that, I ran home, changed clothes & headed to my second interview at a local hospital. I went on an interview with them last Tuesday. The Human Resources lady said she had 2 possible positions for me. I immediately interviewed with one of them, but she couldn't get in touch with the other one. So they called me later and i met with them today. I feel great about the interview. It went well. Really well. I loved the lady i met with (who i think would be my boss!) & she introduced me to the 3 ladies I would be working with. They were SO sweet & fun. I could definitely see myself working with them. The actual WORK is not really something I thought I would be interested in. The pay is not as much as I was making before. Those are the downers. BUT I think i would learn a lot and like working with these ladies, which would make it more enjoyable. Plus, you get annual raises and there is opportunity to grow! SO... we'll see! Initially, I really wanted the OTHER job (with the same hospital), and that one still seems more my cup of tea as far as what I would be doing! But this one seems more likely for them hiring me. Because i have more experience in this area. So...we shall see. She said she HOPES to have it wrapped up by the end of the week... I should hear by Friday or maybe Monday?! Oh, and last night (we're going backwards now...if you are confused! 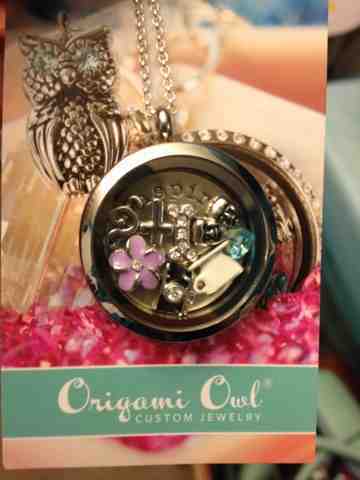 ), I went to my friend Mandy's for an Origami Owl party. Have you heard of these?! I wasn't going to buy one even though i have really wanted one, seeing as how i do not have a J-O-B! But my mama bought me one! 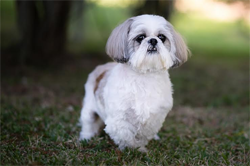 How sweet is she?! I love it. It's a necklace that you put little charms in to represent your life. Here is a picture of mine! Can you see it? So that was a lot of fun! !